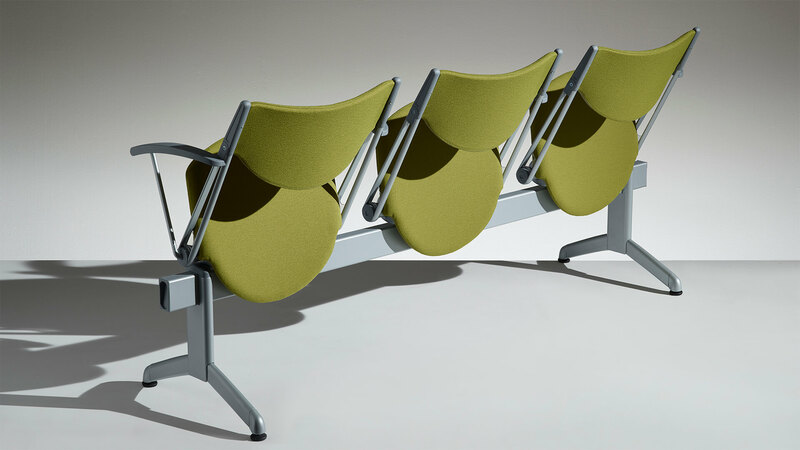 A complete programme of community seats, capable of satisfying specific function needs for a variety of environments. 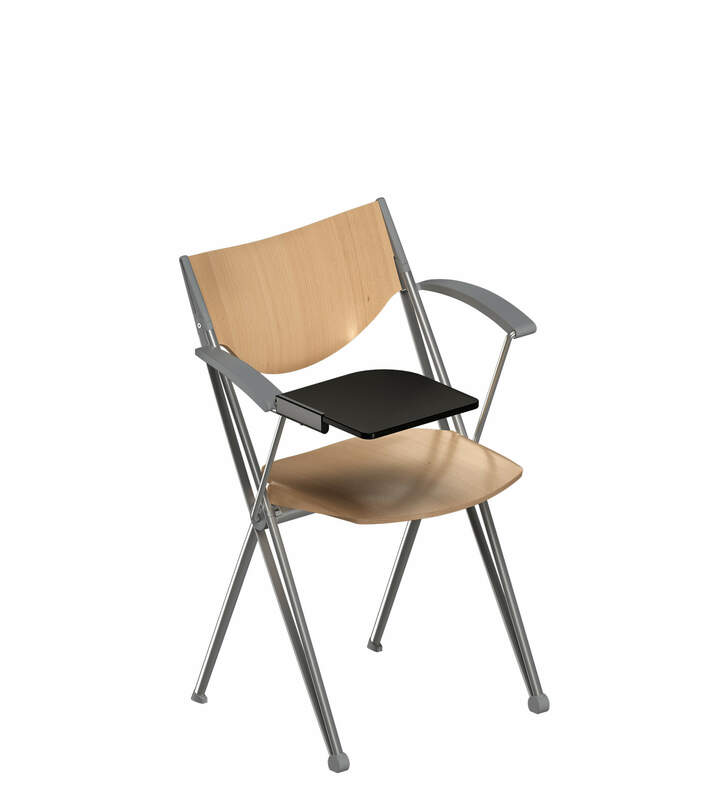 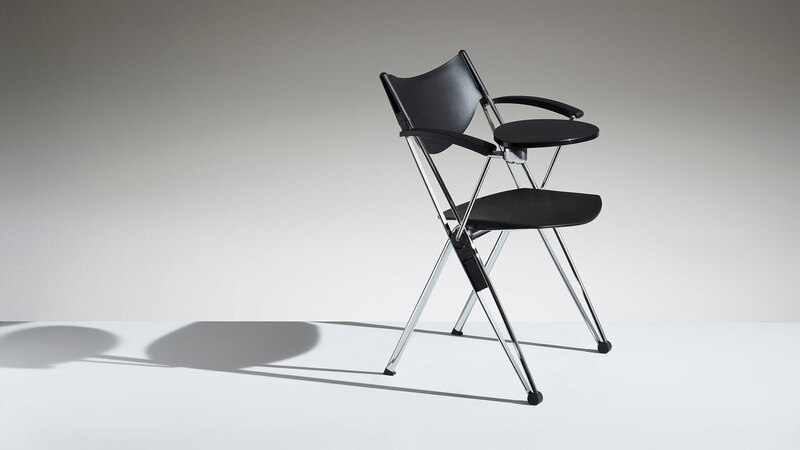 The original self-regulating backrest mechanism ensures high levels of comfort and reliability. 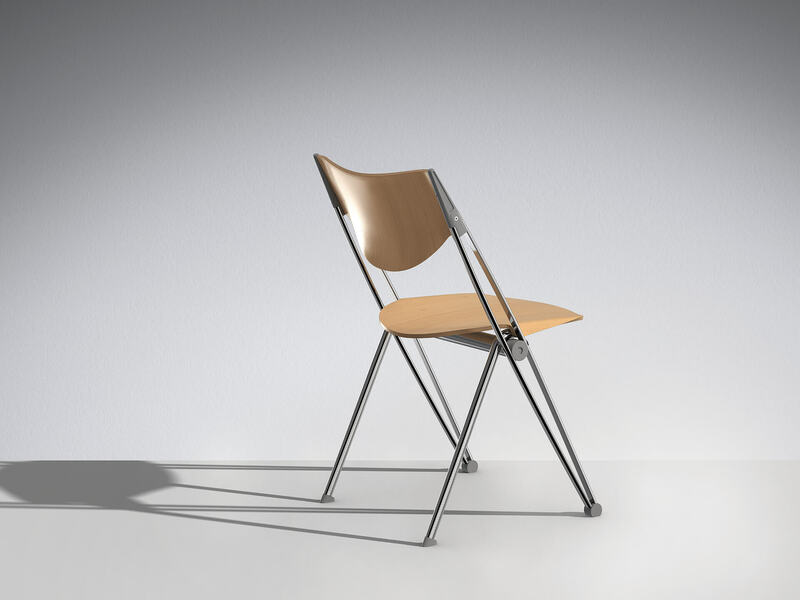 The innovative leaf spring structure also gives it added value on a formal level, providing a controlled micro-elasticity that allows flexible distribution of stress and guarantees a softer impact with the seat and backrest. 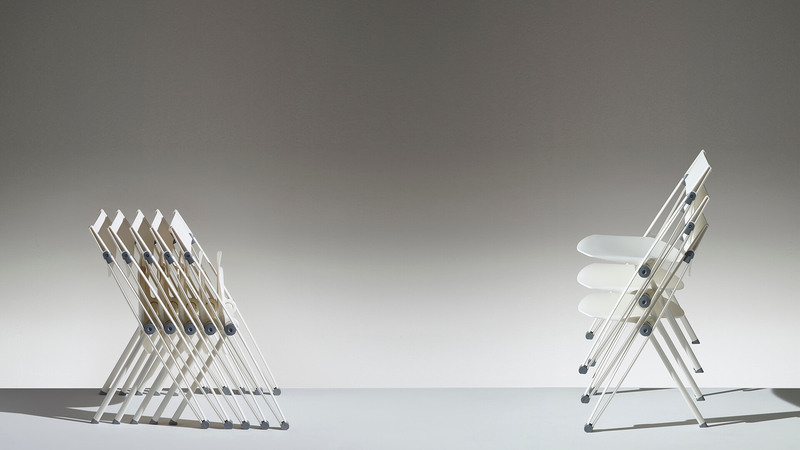 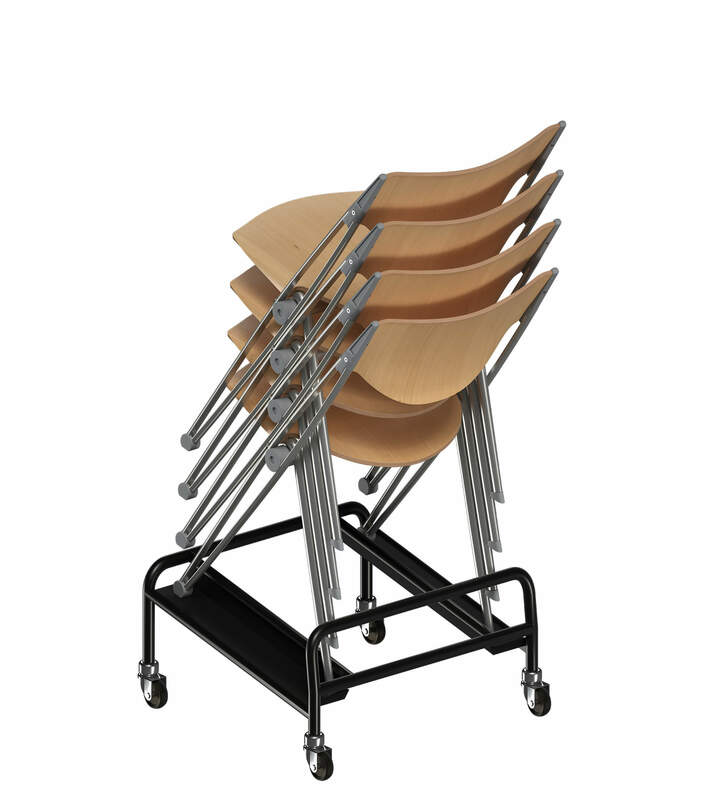 The stacked chairs can be moved using a robust and easy-to-handle wheeled dolly. 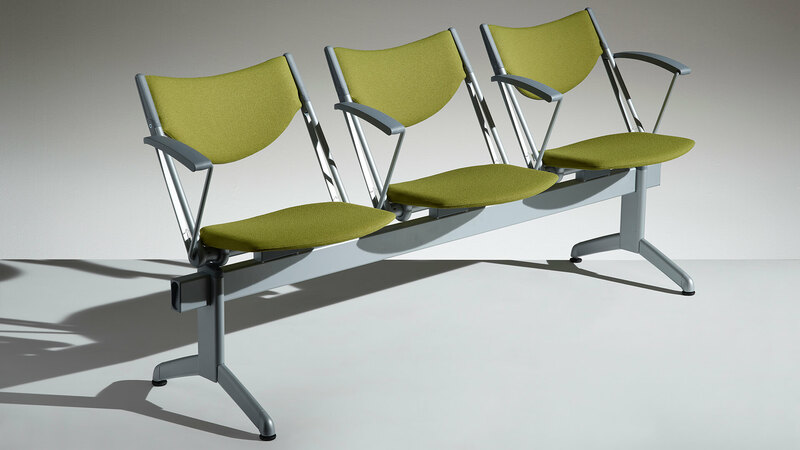 The version with tip-up seat, designed to be stacked horizontally, is fitted with one-way castors on the front legs, to facilitate movement. 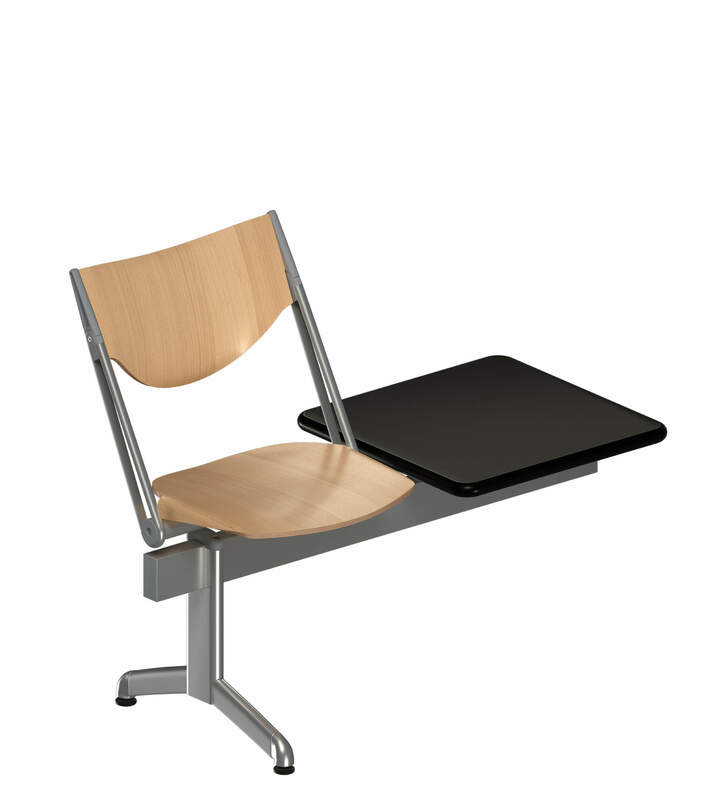 Seating system offered in the fixed or tip-up version with manual or automatic spring mechanism (on request). 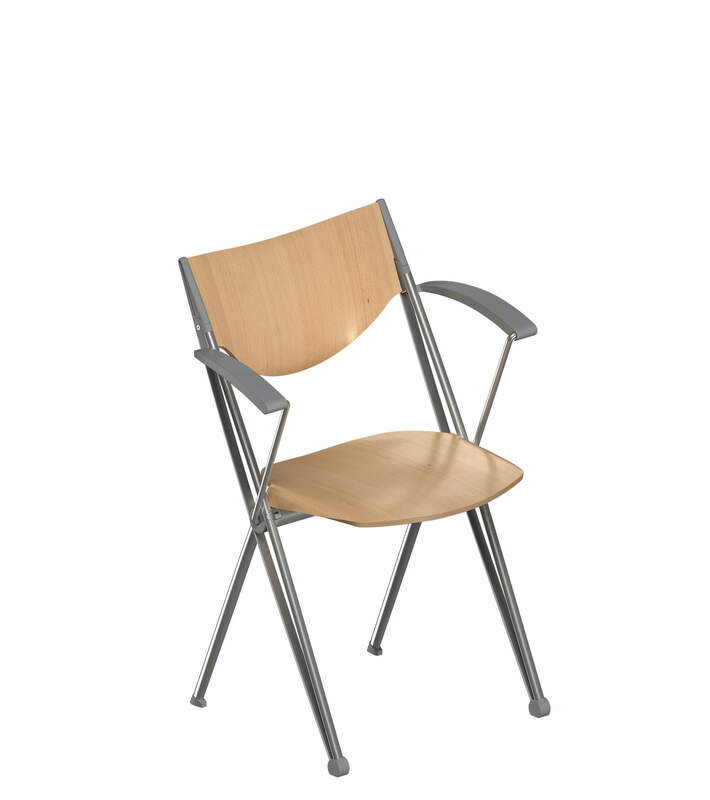 Seat and backrest in polypropylene, beech plywood or with polyurethane foam padding and fabric covering, in a wide range of colours. 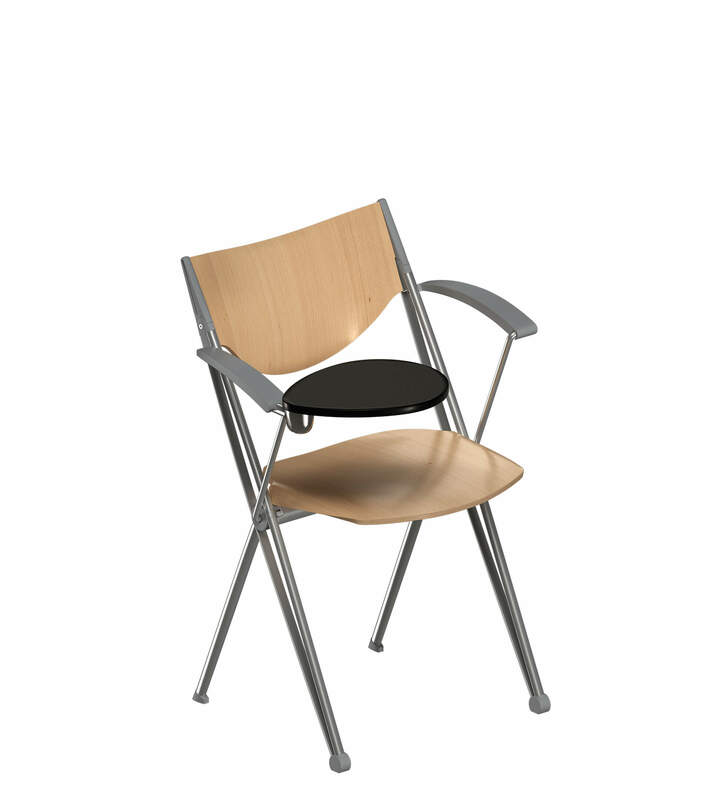 It is also manufactured with the same characteristics in the version on extra-strong steel beam, equipped with fixed or tilting 2, 3 or 4 place seats. 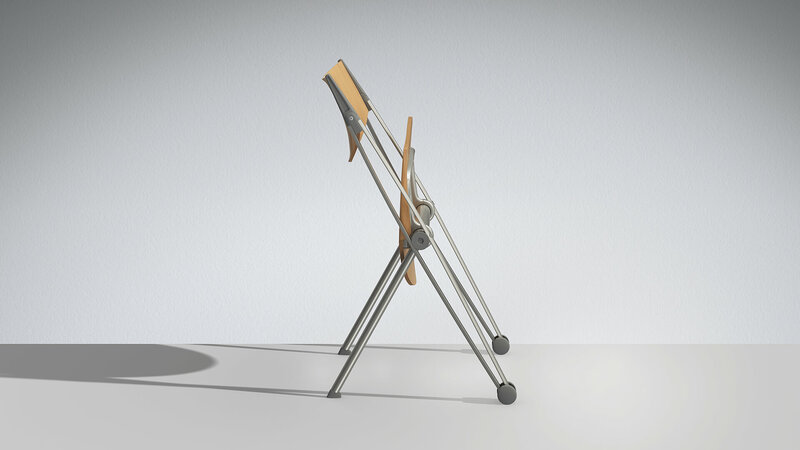 VersionsSeating system offered in the fixed or tip-up version with manual or automatic spring mechanism (on request). 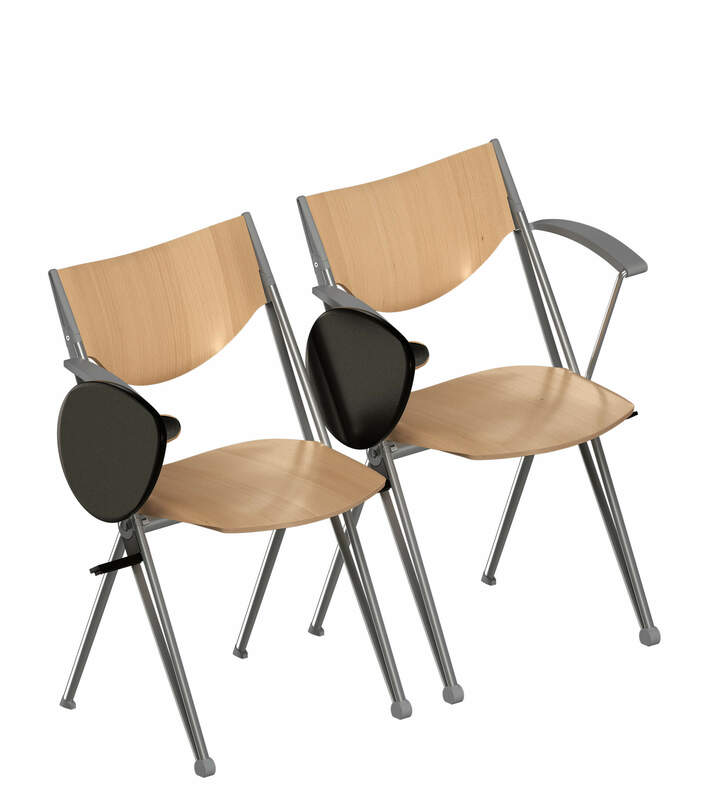 Seat and backrest in polypropylene, beech plywood or with polyurethane foam padding and fabric covering, in a wide range of colours. 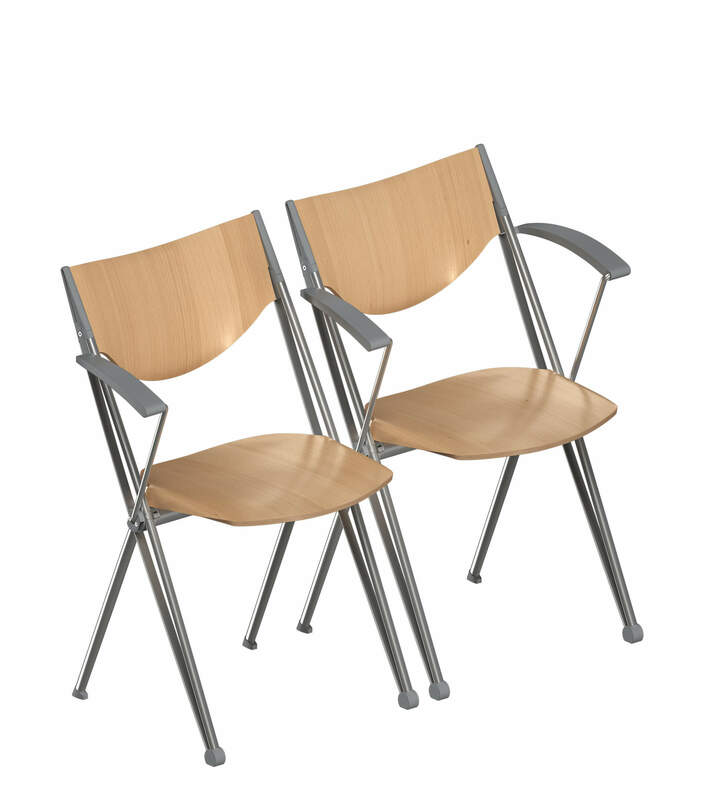 It is also manufactured with the same characteristics in the version on extra-strong steel beam, equipped with fixed or tilting 2, 3 or 4 place seats.